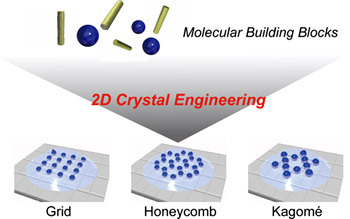 Three-dimensional crystal engineering is a well-known concept. The invention of the scanningtunneling microscope opened the door to explore this engineering concept in two dimensions with submolecularresolution. 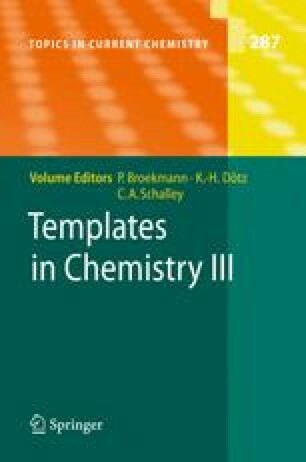 The tools of supramolecular chemistry are also at play on surfaces but the large varietyof interactions—molecule–molecule, molecule–substrate, molecule–solvent, solvent–substrate—area challenge for the design of appropriate molecules which self-assemble at the liquid–solidinterface into the targeted pattern. Herein, we review the efforts to reach the ultimate goal, two-dimensionalcrystal engineering at the liquid–solid interface, including the formation of two-dimensionalporous networks and multicomponent systems. Two-dimensional crystal engineering is more than an academiceffort: it finds applications in fields ranging from molecular electronics to reactivity on surfaces.